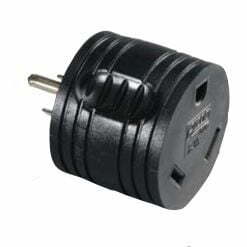 Arcon 110 Volt Temporary Adapters adapt all brands of RV plugs. Made of durable UV protected PVC with solid brass contacts. Rubberized mold.